Tiger Eye Gem in square shape. 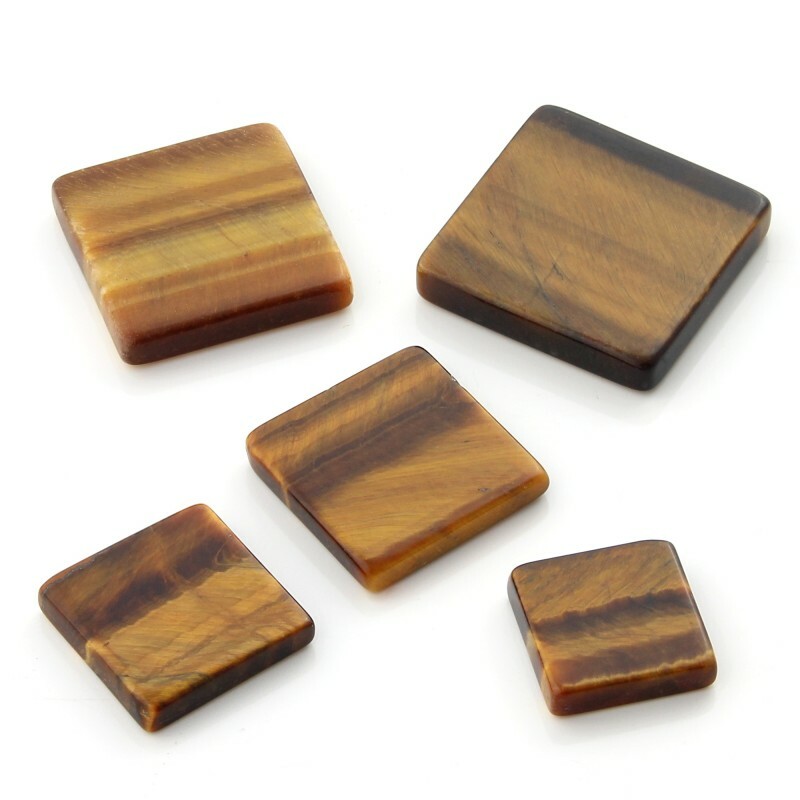 These square-shaped Tiger Eye gems appear perfectly polished on both sides. These gems are used for elaborating jewelry and costume jewelery, and for macrame crafts. Gem of 12 x 12 x 3 mm approx. and a weight of 1 gr. Gem of 14.20 x 14.20 x 2.60 mm approx. and a weight of about 1.40 gr. Gem of 16.20 x 16.20 x 3 mm approx. and a weight of about 2 gr. Gem of 18 x 18 x 3.80 mm approx. and a weight of about 3.20 gr. Gem of 20 x 20 x 4 mm approx. and a weight of about 4 gr.